Nursery Notations: Daily Candy Feature! Look who made it onto Daily Candyhttp://www.dailycandy.com/everywhere/article/132551/Andrika-King today! I'm beyond excited to have one of my room designs featured. We shared some sources for the items in the room as well as a brief story about the design. Thank you Liz from Life Iz Photography for taking such wonderful photos! 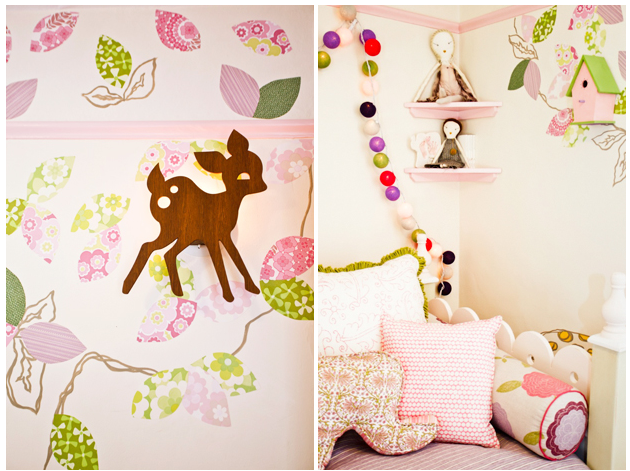 For more photos of this toddler room visit my website Andrika King Design. So exciting! And what a cheerful room. Love a good book wall! And that deer with adorable. Great ideas! Nice post! Congrats! What a wonderful room!! I adore the fabric you've used for the elephant pillow. Would you mind sharing where I can find it? The Elephant Pillow is from Rickshaw Designs. Thank you everyone for the kind comments!